Military and civilian firefighters will set, monitor and extinguish a controlled burn on the grounds of Camp Pendleton Saturday. The prescribed fire, slated to begin at 8 a.m., will clear dry vegetation off of roughly 170 open acres on the northern San Diego County U.S. Marine Corps station, authorities said. A contingent of 30 base firefighters and 60 crew members with the Los Angeles Fire Department will conduct the burn, which will take place in a section of the installation known as the November training area, near its border with Oceanside. 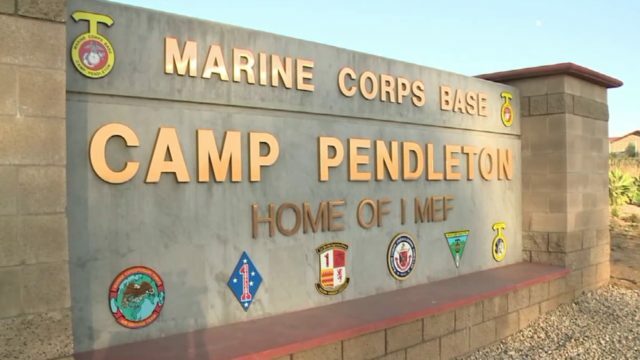 In addition to removing wildfire fuels, the operation will serve as an emergency-services training session and help maintain native species of annual grass, according to Camp Pendleton’s public-affairs office. Smoke may be visible in surrounding communities during the burn, authorities advised.